If you’re like most marketers, you love using Google Analytics to monitor your website’s traffic. For a free tool, it provides all kinds of information. You may not realize it, but you can also use it to monitor your email marketing campaign. Google Analytics is one of my favorite email marketing analytics programs. It’s easy to set up and use, and it’s easy on my bank account. And you don’t have to be a marketing genius to use Google Analytics. You just need a little bit of time and you can use this tool. Google Analytics uses a tracking code to provide analytics. It can’t provide data without that tracking code. You need to put the tracking code on your website so you can track data after you send your email recipients to your site. First, you need to sign up for a Google Analytics account. Then, you’ll get a tracking code. Place the tracking code on your website. Then, you’ll be ready to track your emails. 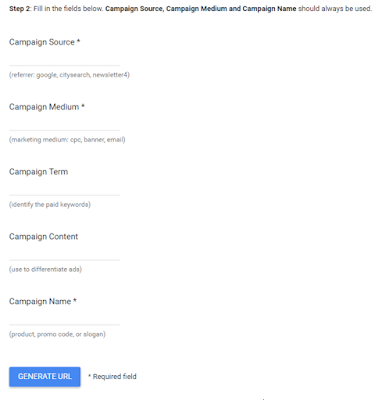 Once your site is ready for Google Analytics, you need to generate some campaign tags. You’ll add campaign tags to the links inside of your emails. These tags customize the links so they look different from the other links that Google Analytics is tracking. Then, Google can tell the difference between your direct traffic and traffic that comes from your email campaign. It’s easy to create campaign tags. Use the Google Analytics URL Builder to generate URLs with tags. Once you have your URLs, you’ll be ready to define your goals. Goal tracking is one of my favorite aspects of Google Analytics. I like how I can keep track of my conversions and determine if my efforts are in line with my goals. Of course, Google Analytics isn’t a mind reader. It can create self-driving cars, but it has yet to patent mind reading technology. So for now, we still have to set up goals in Google Analytics for this to work. This is relatively simple to do. Sign into Google Analytics and go to the Admin Tab. Then you have to choose between a goal template, custom goals, or smart goals. I’m going to focus on the template and custom goals right now. If you choose the template, you’ll select goals based on standard business objectives. If you don’t see your goal on the template, select “Custom” and customize your goal. Then, move on to the next page and finish filling out the details. You’ll come across four different goal types when you fill in the goal details. Select “Duration” if your goal is based on the length of time that people spend on a specific page. For instance, maybe you want visitors to spend 3 minutes on your site so they can read a blog post. Select “Page/Screens Per Session” if you want people to visit a certain number of pages after clicking on the link in your email. Select “Event” if you have a certain action you want people to complete. For example, maybe you want visitors to watch a video or sign up for your newsletter. You need to outline the criteria in order to define the goal. If you’re using your email campaign to bring in some money, you should assign a monetary value to your goals. That way, you’ll be able to determine your ROI. Go back to the “Goal” section in your Analytics account and click “+ Goal” next to one of your goal sets. That will open up a dialogue box. Enter your goal value into the box. Once you enter the value, Google Analytics will determine how much money you make with your goals. Then, you can decide if your goals are paying off or if you need to make some changes. Tracking your email marketing campaign with Google Analytics is relatively straightforward. Follow these tips and then you will have a wealth of analytics at your fingertips. Access the analytics on a daily basis so you can stay on top of what is going on with your account. Then, you can tweak your account and change your goals as needed. 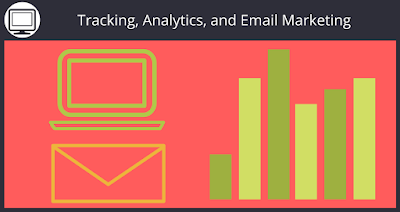 Do you already use Google Analytics for email marketing? If so, what’s your favorite feature? What stands out for you? And be sure to sign up for a free trial of Sendlane to start analyzing your email campaigns today.